"Confused about how to build an author platform? Frustrated with slow marketing progress? 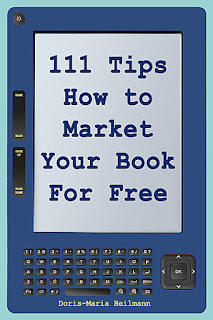 Discover how to create a viable online author presence in the informative book, 111 Tips on How to Market Your Book for Free (Detailed Plans and Smart Strategies for Your Book's Success) by Doris-Maria Heilmann. Creating an online presence can be a daunting task for the author. Promoting yourself and a book can quickly lead to you becoming overwhelmed. Strategize your writing career by planning how to publish, publicize, and launch your book. Learn how to get your books in bookstores and libraries, and correctly contact television and radio stations, and blogs. Develop a solid plan to market your book and watch your sales grow. Are you ready to elevate your book promotion? 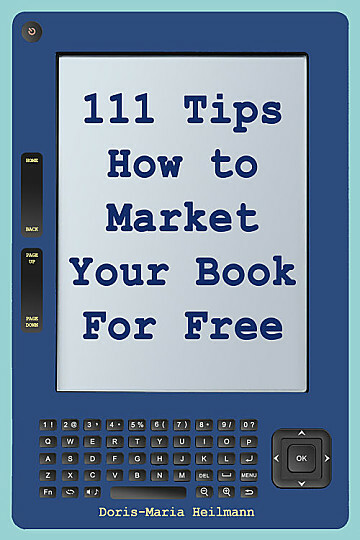 For newcomers and seasoned authors, 111 Tips on How to Market Your Book for Free delves deeply into the mechanics of taking your writing career to the next level. With more links and resources, this book can easily become invaluable to the writer. Although it may be more dense with information, the content is much more detailed." "I liked the author's tips on how to build online relationships. As someone who avoids social media, (it has been the bane of my author existence). I really appreciated how the author breaks down how to work on social media. Short, to the point, succinct. Finally, I get it! I am so excited to implement so many of these ideas. I was also thrilled to read the section on how to pitch to television and radio. Another superb writer's resource book from an excellent author."